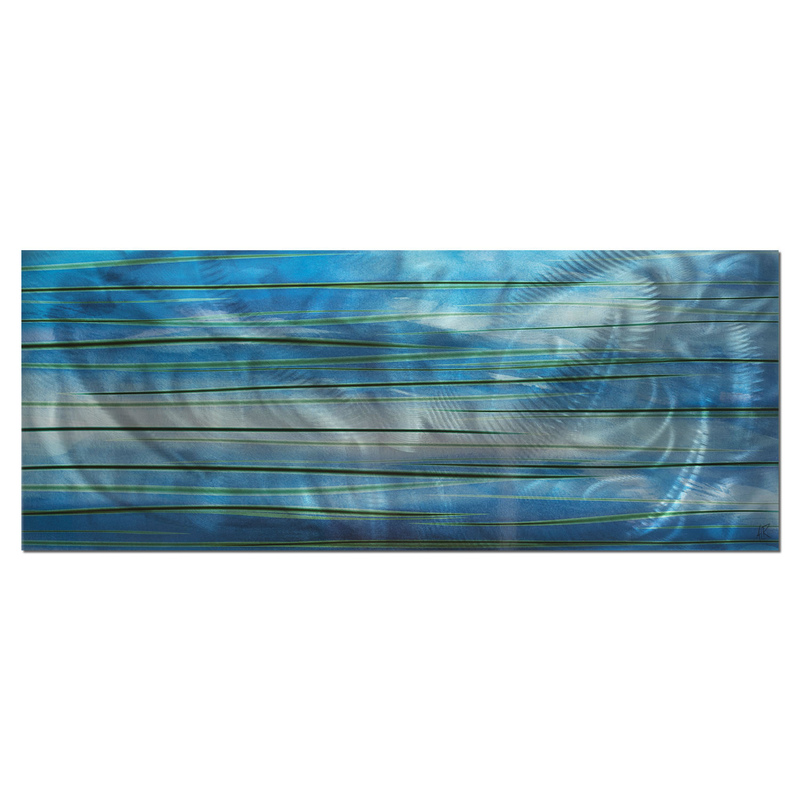 The 'Ocean View' contemporary wall art depicts an abstract interpretation of just what the name suggests: a serene, soothing view of the deep blue ocean. It is a large metal wall sculpture featuring a subtle circular design blended in with the colors, causing a subtle silvery undertone. 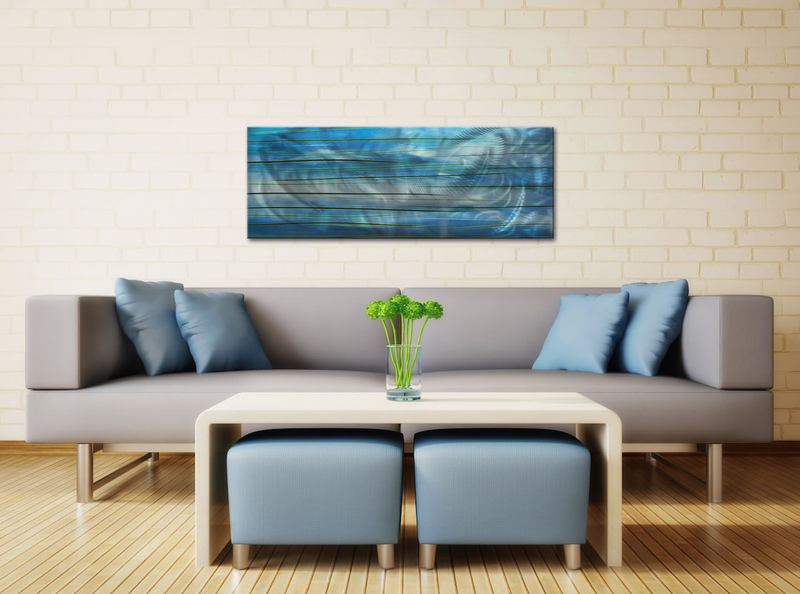 The cool, comfortable blue tone and subtle green streaks across the surface produce a calming ambience from this artwork. This piece makes an eye-catching statement in any home or office setting looking for a crisp accent piece. It would work great in any room looking for the right balance between calm sensations and bold statements.